The winter months often prove to be quite depressing. There is little sunlight, way too much snow, hazardous ice and brutal wind. There are several ways to beat the winter blues. Some turn to warm meals. Others key in on exercise. 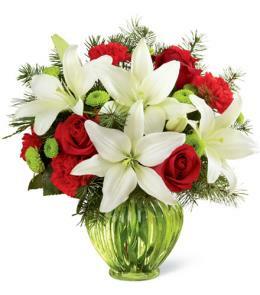 Yet the one foolproof way to improve mood in this dreadful time of the year is an assortment of beautiful flowers. Add some colorful flowers to your home or office and you will feel uplifted. Our bodies are searching for sources of light and color in the monochromatic winter months. Flowers infuse much-needed color along with lovely smells that ultimately serve to boost one’s mood. The winter makes it awfully difficult to spend lengthy periods of time in the greater outdoors. Furthermore, much of the outdoor landscape is covered in ice and snow. Most of the plants are lifeless until the spring months. This is precisely why you should bring nature’s beauty indoors. Add some gorgeous flowers to your living or working space and you will feel much better during the depressing winter. A study performed by Harvard University researchers found that merely looking at flowers in the early morning hours can induce happiness and reduce anxiety. Winter mornings are especially stressful. It seems like it takes forever for the sun to show. The temperatures are egregiously low and the ice is as solid and slippery as ever. Do yourself an enormous favor by looking at a lovely floral arrangement for a few minutes each morning. Though this sounds a bit irreverent, it just might work wonders for your mood. Even if you don’t want to gaze at flowers each morning, you will still benefit from their presence. Place vibrant flowers in the rooms of your home that your frequent on a regular basis and they will improve your mood and energy. When in doubt, place your flowers in the kitchen as that is where most people spend a considerable portion of the morning. Let’s face it: Most of us get a little depressed in the uber-cold winter months. Many suffer from seasonal affect disorder (SAD). Others are stricken with cabin fever. It is quite easy to feel sad, anxious and even angry between December and March. Fret not, flowers can help! A study performed by Rutgers University lends credence to the popular notion that flowers boost emotional health. The research shows that flowers induce happy emotions, boost life satisfaction and even trigger positive social behavior. This is excellent news for individuals who are searching for a means of beating the winter blues without antidepressants, alcohol or other drugs. We are smack dab in the middle of the winter. There is a good chance that you feel a little down. Even if you feel fine, the odds are that someone in your social circle or family feels depressed. The answer to the winter doldrums is here in the form of lovely floral arrangements from Brant Florist. Each of our arrangements is handmade in a highly personalized manner We even tack on an individualized message for good measure. This is exactly what one needs in the midst of the brutally cold winter! 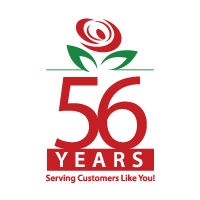 Contact us today to learn more about our floral arrangements and how they can brighten your life or the lives of your friends, family and co-workers. 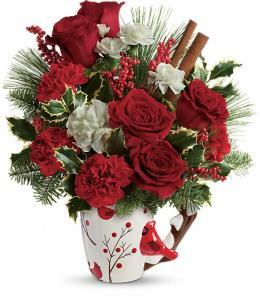 You can reach Brant Florist at 877-545-5535 or by e-mailing info@brantflorist.com.